Air quality is a problem, but why are we moving houses away from roads rather than building bypasses to ease traffic? 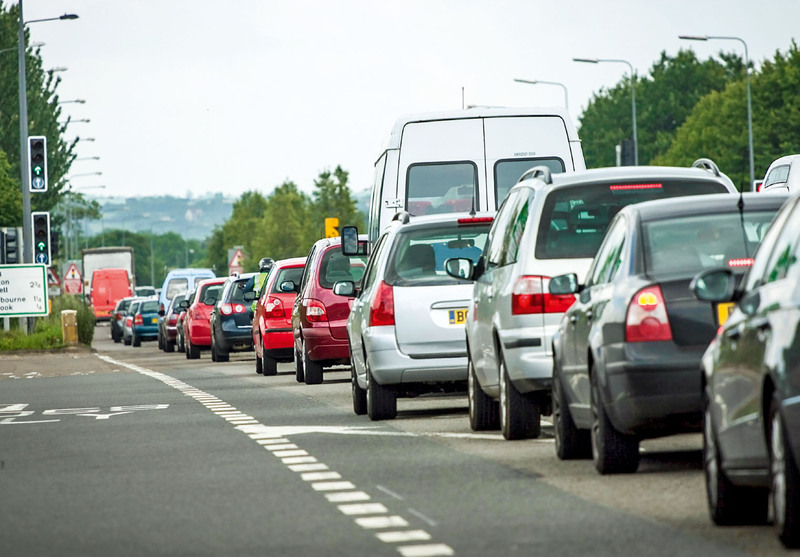 In one of last week’s less shocking news items, a council in Cornwall has suggested that the best way to meet local air quality targets could be to move people out of the affected areas. Yes, that’s ‘moving them’ as in, ‘compulsorily buying families’ homes and relocating them in new houses that have been built farther away from the traffic congestion’. Presto, they breathe easier, only a bit farther away. The new homes would still be nearby, obviously. They’re not monsters! Funny old world, when this is one of the less odd things going on in it. I don’t imagine it will happen, although it does have the ring of an ‘all options on the table’ idea that gets mentioned between biscuit breaks and which everybody is slightly surprised to find bulldozers acting on five years later. And it’s peculiar that a region whose income is based around people visiting its historic towns and enjoying its communities, open spaces and fresh air – but which is blighted by the time it takes to get to and around the place – wonders if the best way to improve things is to put houses on the open spaces and devastate the communities but leave visiting traffic stationary and thus not make Cornwall any easier to visit, or its air any cleaner. Apparently it’s cheaperthan building bypasses, even though we have a housing crisis and I thought that new houses had roads going to and from them. So instead of one bypass, you build houses served by congested minor roads. It’s an example of how phobic about building roads we’ve become. Which is a pity, because I know how a bypass transformed Petersfield town centre, where I grew up, and how much cleaner and more pleasant Hindhead is since they put a tunnel under it. In both cases – in all bypass cases – it deals with the problem, by taking vehicles away from houses and keeping traffic moving. The alternative is that the car continues to be demonised, which is stupid, because we need it. London did it when it built bus stops that extend into the road so cars couldn’t overtake and phased traffic lights to deliberately slow traffic. Turns out there’s nothing quite so bad for air quality as a running engine that’s going nowhere. Who knew? But still the vilification continues. This week Westminster Council said it will increase the amount it costs to park diesel cars there. London is to increase the congestion charge for diesels. VW has hardly improved the reputation of the diesel, but in neither case are these authorities acknowledging the quantity of harmful particulates that come from vans, taxis, buses or lorries. And in neither case does it do anything to improve anything but the bottom line of the council’s finances. Governments and councils would do well to remember it. Every city, town and village should have a bypass, why would anyone think it's a good idea for all traffic to pass through it? It would benefit everyone, if traffic, that wasn't going to the town or village, didn't pass through it. Why can't these muppets see this and spend "our money" sorting out the transport system, so that the people that pay for it, benefit from it, as well as everyone else. And can anyone tell me why it takes so long to do anything, concerning roads in the U.K. Probably because there's usually no more than about 2 people working on each project at a time...... in Japan, they can completely rebuild earthquake damaged roads in a week !!! In the U.K., millions is spent on ridiculous projects that make little or no difference to the traffic flow (roundabout to Stonehenge on the A303, it cost a fortune and has made no difference, it's got 3 lanes and 90% of the traffic only uses the middle lane !!!). 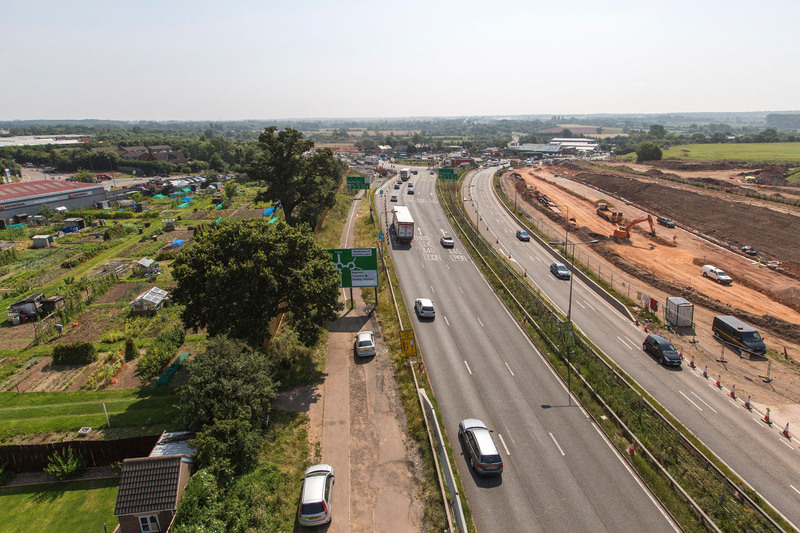 When will the bypass be built ? How long have we been waiting?!! !, how much is the 1.6 mile bypass projected cost, £1.3 billion !!! And they still haven't got past thinking about it !!! The Goverment and councils would do well to remember who's money they are actually spending and stop wasting it on projects that have little effect. The car is hear to stay, it's not going away anytime soon (in whatever powered form), so don't spend £50 billion on a railway from London to Birmingham for a few thousand people to use, spend it on the roads to benefit the millions. We're in a small country that's way over populated and getting worse, it's pleasure to drive just about anywhere else in Europe, America, Australia, Canada etc because they've more space per person. So I propose a population cap of 75,000,000 at which point we switch to a maximum of 2 kids per family, if you disagree you're clueless and can expect gridlock and a 100,000,000 in 25 years time. I'm slightly off-topic here - build more bypasses, yay - but to address your point I have a feeling that this one will sort itself out over time. Entirely subjective anecdotal experience: I'm not sure which generation you're from, but in my family three of my grandparents (who were all born between 1910 and 1915) were each from families of 10 children and my paternal grandfather was from a family of six. I had 30 great aunts and uncles! But then both my parents (who are Boomers) are from families of four. Slightly smaller families. And so on it goes; I have just one brother. We're both in our 30s and both married, but neither of us has any children. There's currently a kind of population bulge, because the children from early C20th large families all married each other and had plenty of kids - the Boomers. But most of the Boomers had fewer children. When I was at school it was unusual to see families of more than three kids. And now the children of Boomers are having fewer children still, or none at all. One of the good reasons for increased immigration over the last 35 years or so is to mitigate lost tax revenue as fewer people of working age enter the system. With automation coming along - if you're not in a creative or caring profession, a robot's going to have its lasers on your job - we're going to need a rethink on pretty much everything from jobs to transport infrastructure anyway. A lower population might be useful, I don't know, but if so I don't think we'll need a cap to do it. It'll happen naturally. Successive governments have had their heads in the sand about transport and infrastructure for generations. Perfectly happy to collect the tax from a country with no choice but to be rely on car ownership rather than a ultimately hopelessly out of date and overly expensive public transport system. Bizarrely though I think the internet could provide a small and potentially rapid answer. Instead of insisting that everyone working in an office turns up from 9-5, where possible, companies should be encouraged to let staff work from home one or two days a week. [quote=Autocar]VW has hardly improved the reputation of the diesel, but in neither case are these authorities acknowledging the quantity of harmful particulates that come from vans, taxis, buses or lorries. And in neither case does it do anything to improve anything but the bottom line of the council’s finances. [/quote] I've said this for years. Cars may be one part of the problem for London and many other towns and cities, but so too are the many buses and taxis out there. Where does then money from the congeestion zone go? Does it go to environmental issues within the city? Or does it just line the pockets of a government agency? Is this rant about air quality, or building roads? Because they aren't necessarily related. For example, you could build some more roads and ban diesel vehicles, and then you'd have better air quality, despite having more roads and cars. Or you could stop building roads, and so restrict the ultimate number of cars, but keep diesel, which would continue our lung-sludge problem. Either way, you won't solve congestion. More roads just mean more cars. You only have to visit LA to see that. Teleportation could eventually solve it, but then you might get congested Teleporters. Extinction is probably the only remedy, so we may as well accept congestion and stop whinging. Air quality though, is easy. Just get rid of the Total Dirt Initiative (TDI).